I have an Improved Meyer Lemon Tree in my yard and it produced its first batch of ripe fruit the first week of January and everything about this is making me feel deliriously triumphant and highly superior. What makes it “improved”, you might ask? I don’t know, I’m not a lemon scientist, it’s better than the old Meyer lemons. And because they’re mine, so am I. Twelve gorgeous gigantic better-than-the-regular-old-Meyer-Lemons came into the house after I found a (nearly) rusted shut pair of gardening shears in a basket in my garage from another delusional time in which I promised to grow my own tomatoes. But this tree requires zero assistance, and thus it has survived, unlike my very much unopened grow your own tomatoes gardening kit. I put my lemons, which I’m sure are way too good to eat, in a gorgeous bowl in the center of my kitchen island for others to admire and to say nice things to me because I forgot that you actually have to refrigerate or juice them tout suite in my manic decorative obsession with what I had harvested. If I didn’t act quickly I was going to lose my hard-earned bragging rights without even tasting them! And because I couldn’t drink fourteen margaritas in one night (I felt like sparing my future self another misspent day nursing a tequila hangover by watching Gilmore Girls quietly and wishing someone would walk my dogs but not check in on me and also I had zero tortilla chips) so I figured out how to preserve those gorgeous guys when I was more prepared. I decided to try my hand at canning, a time honored tradition in someone else’s family, I’m sure. Lemon bars are some of my favorite sweet treats so I decided to make a double batch of lemon curd and a jar of preserved lemons for marinades and sauces. I did a variation on the goddess Ina Garten’s lemon curd (double recipe) and instead of using it right away, followed the below simple instructions for canning. To prepare your jars, begin by washing your jars with soap and water and wash the lids according to the manufacturer. Fill a large pot with enough water so that when the jars are immersed there is at least two inches of water above the rim. Heat the water until 180 F and add the jars and the wide-mouth metal funnel you’ll use later, let the water come to a boil to kill any bacteria. Turn the heat off and leave the jars in the hot water until you’ve finished making the lemon curd, you want to put the hot lemon curd into a hot jar so that you don’t accidentally shatter your new jar! When you’re ready, use a pair of tongs to remove the jars and place them upright on your counter. Peel the lemons and remove all the white pith leftover with a paring knife. Add the sugar and peels and pulse in the food processor until finely cut. 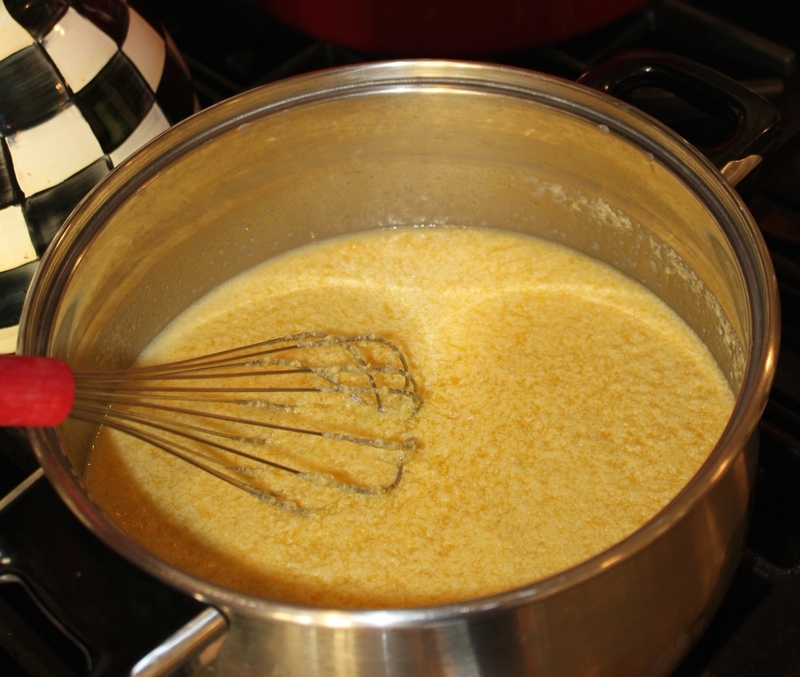 In a mixer, cream the soft butter and the lemon sugar until light, turn the mixer down and add the eggs one at a time, then lemon juice and salt. Scrape the bowl down with the beater and mix again. Pour this mixture into a saucepan over low heat and cook until thick, be careful not to let the heat get too high so as not to scramble the eggs, stir constantly for approximately ten minutes or until an instant read thermometer reads 170 F. If you’d like, strain the curd immediately but personally, I like it unstrained. Fill the jars leaving ½ inch headspace before adding the lids and place the jars in boiling water for approximately 13 minutes, remove and let cool on the countertop and use within 3-4 months.